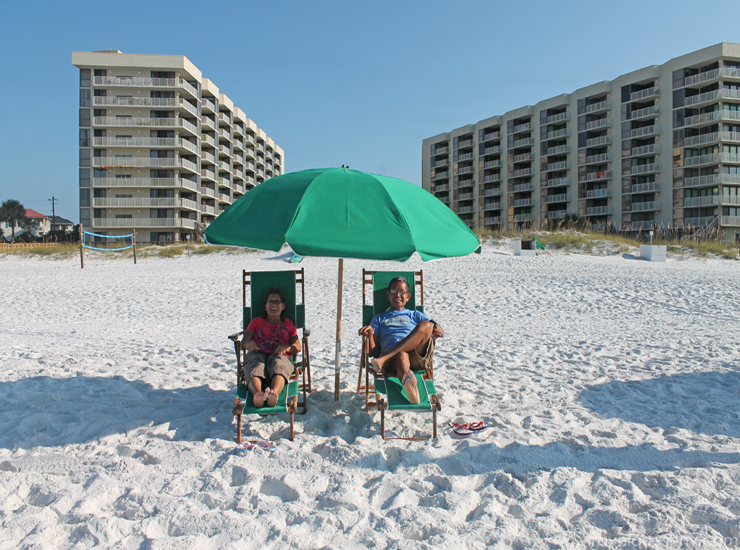 This is our third visit, and still the best place to stay in Destin. 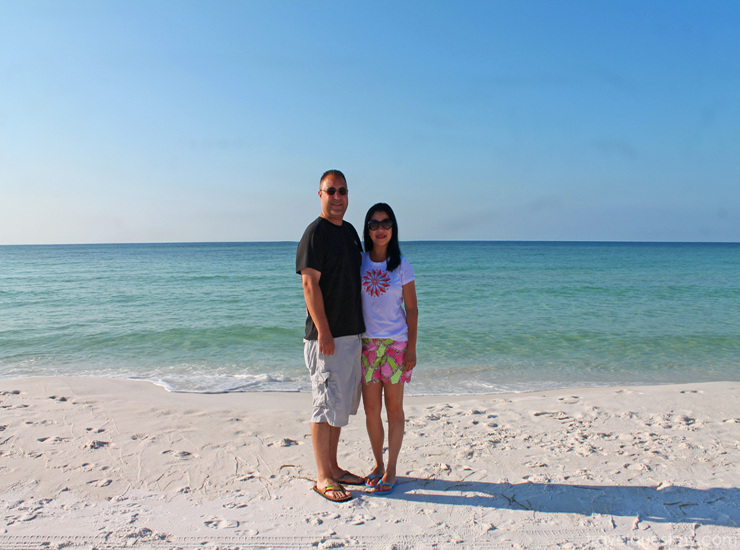 Located on Florida’s Emerald Coast, which gets its name from its beautiful, clear green water. Beaches here have extremely fine, soft sand, so if you’re a beach-walker or your kids enjoy building sand castles, this could be a great family destination. If you come in July - August the temperature is in high 90's. The best days are the B.E.A.C.H. days! Family bonding is always fun. Hard to resist a group picture by the beach. 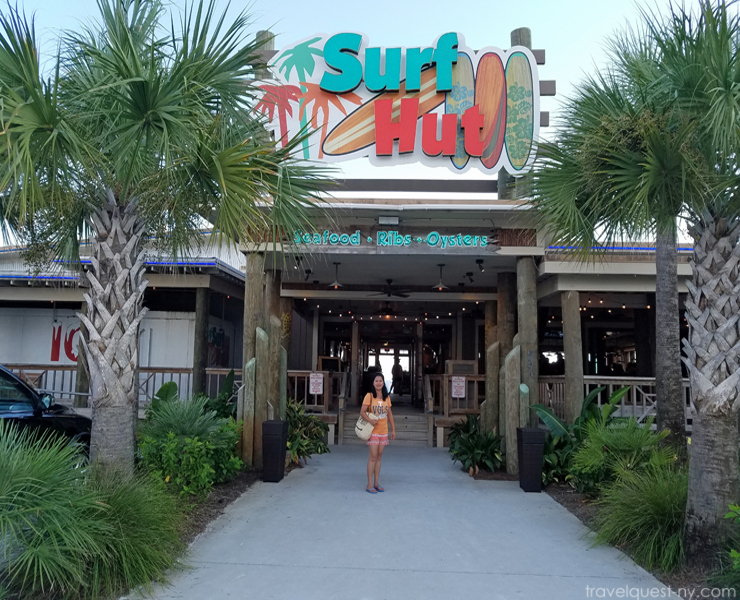 Surf Hut was become our favorite stop on our venture through Destin. Service was great, the atmosphere was lively, and the food was fantastic! We ordered the "Catch of the day", grouper maybe don't quite recall but it was good. Served with rice and coleslaw -- good choice! My husband and I enjoyed sharing a fresh salad topped with seafood with a vinaigrette dressing for dinner. 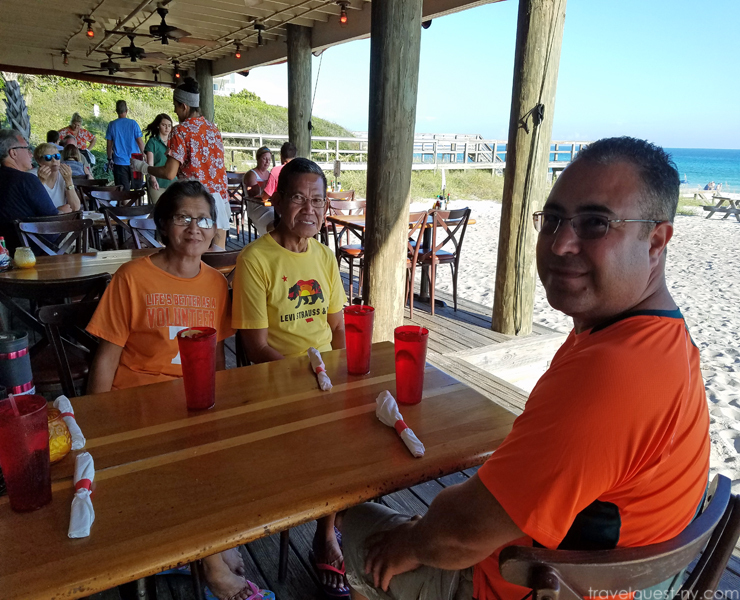 They also have a great outdoor area with sand and a few tables on a covered deck. We settled down outside on the deck I liked the open breezy feel of the place and enjoyed the views from our oceanfront table. Seafoods on the beach with a view. What's not to like?! I love the retro feel atmosphere of this restaurant. 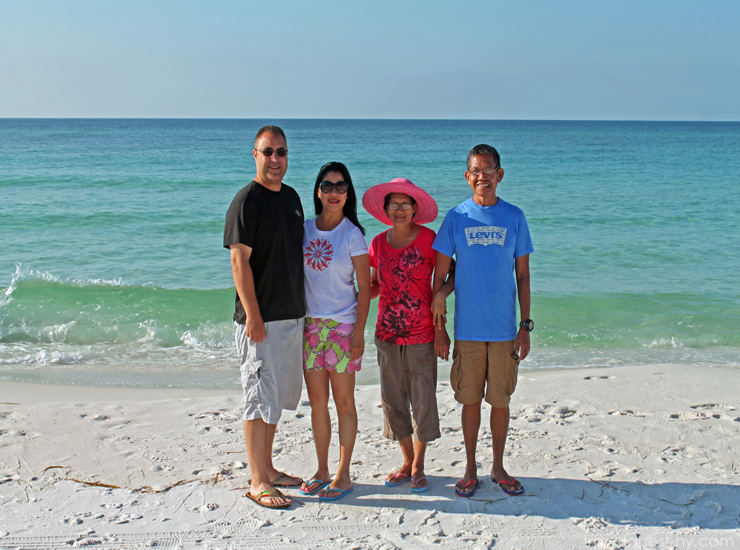 This year we took my parent's to Destin just because they missed our beaches back home (Philippines) at the same time we want to show them how beautiful the Florida Panhandle is . No doubt they fell in love with it as much as we do. Each day we watch the sunrise and sunset by the beach. Memories that we will cherish for the rest of our lives. 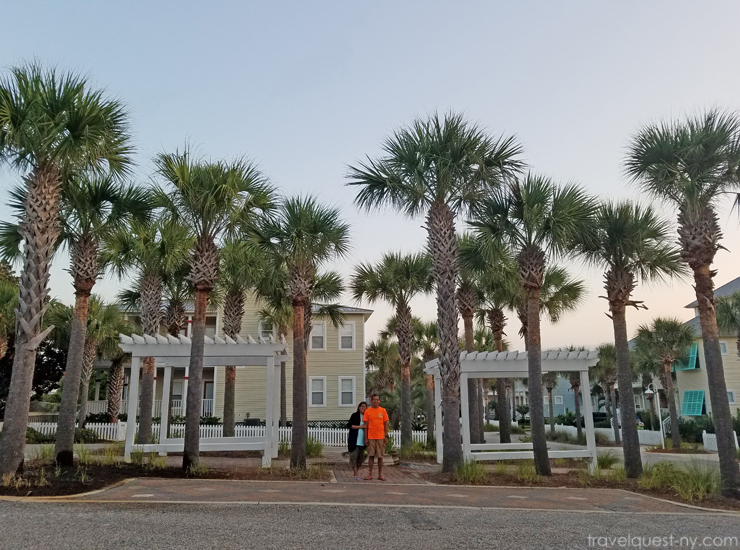 Beautiful Palm Trees - one of the community rental house in Destin. 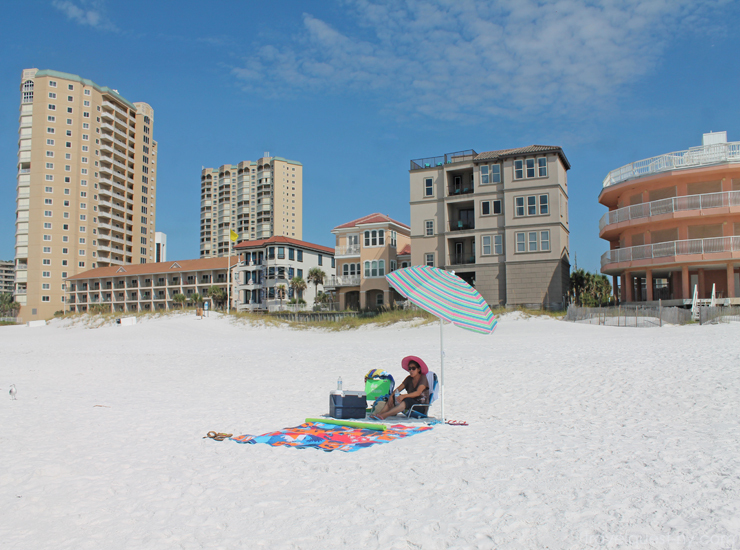 Destin's Miramar Beach is the cleanest most beautiful beach ever. 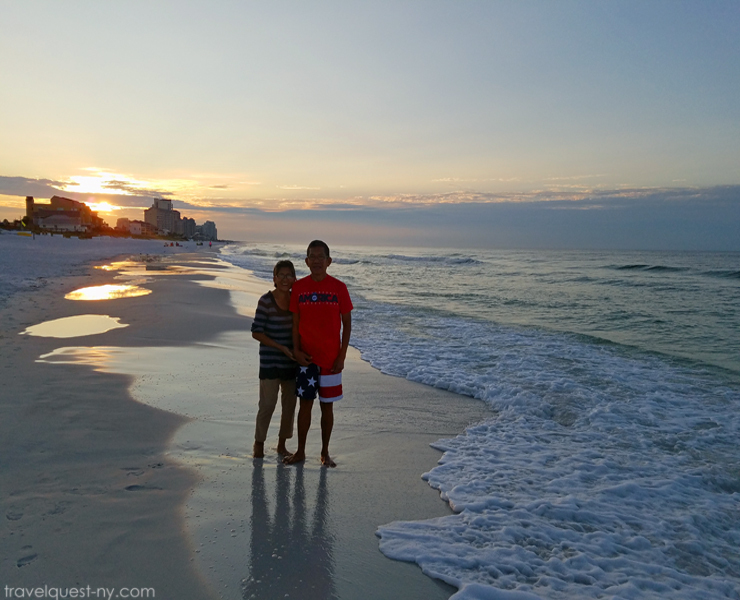 Considering a trip to Destin, Florida? You should check out Mainsail - the perfect beachfront vacation destination. Located in the heart of Destin's Miramar Beach, Mainsail Resort boasts spectacular views of the emerald jewel-colored waters, close proximity to popular beachfront restaurants, grocery stores and a multitude of family amusements. Breathtaking sunrise over the gulf of Mexico. 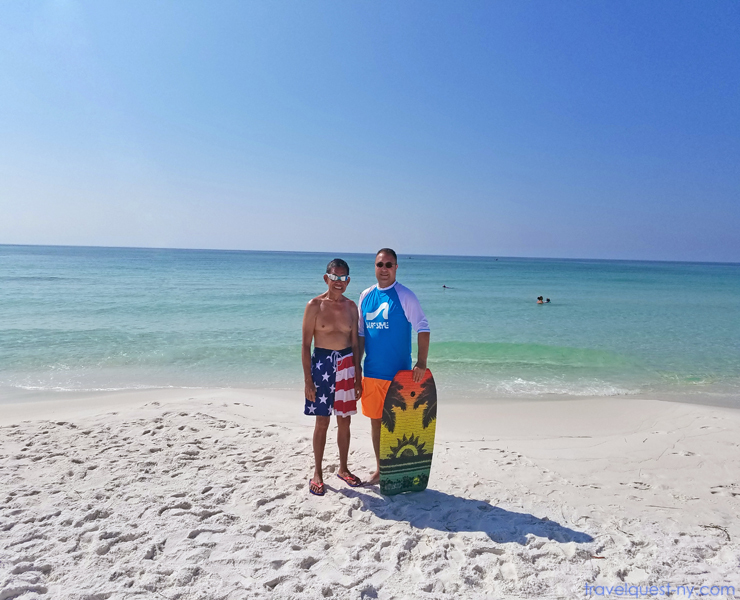 Destin is a great place to go with the family. We've been there a few times, and it's always a good time. Destin is the best! We go whenever we can. I had no idea Destin was so beautiful. 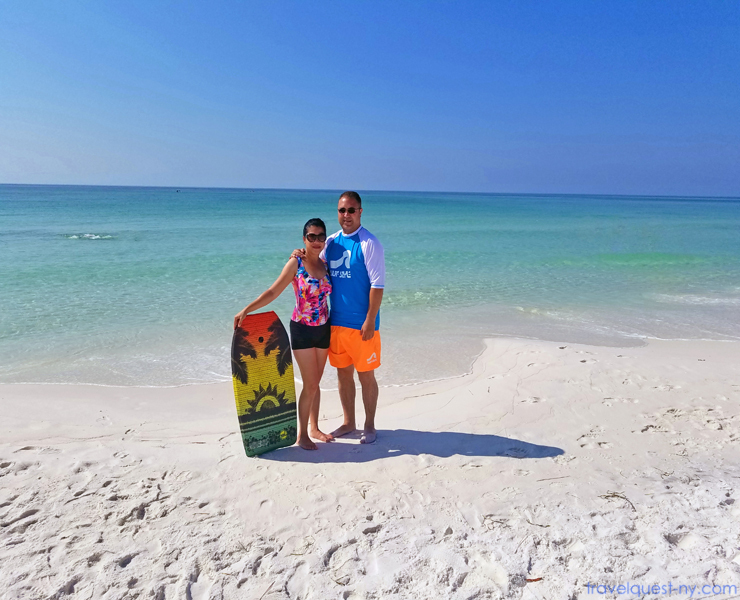 We visited Marco Island earlier this year and loved it (also on the Gulf side). Surf Hut is cute! I could definitely see the family eating there! Love your adorable photos with the family! I have been to Florida many times but I never make it to this side! I want to visit Destin so badly. I have heard so many times how gorgeous it is. I really love your photos!! What a beautiful place! I have never been to Florida, but I hear that Destin is a great vacation spot! I really do want to get there someday, especially after seeing these pics! This looks like a really beautiful place! I've been to Florida before, but never to Destin! We are WAY overdue for a family vacation. I will definitely be adding this to our travel bucket list. Down the road in Panama City, we close certain big tourist places for the season. But if you're not worried about checking out the tourist traps, and are only interested in the beach then the pandhandle is a great place to be. I haven't been to Destin in years, I usually go to Panama City Beach. Either way I love the Florida beaches!! It's a beautiful place to go to! Thanks for the tips on what time is perfect! The kids and I love going to beaches so I'm sure they'll have a great time here as well. It looks like a great place to visit. I will definitely put this on my Bookmark as my future travel visit. I am sure that my kids will love this so much. The beach looks pristine and very clean. Aren't there a lot of tourists going there during this season? What time is sunset and sunrise? That looks like a fun place to get away with the family! I would love to be there right now! That looks like a lovely beach. I wish we had them around here. I have never even been to Florida before, but plan to some day. I have an old classmate that lives in Destin. I hear nothing but great things. The pictures are beautiful. Your beach photos make me miss home. :) I bet you all had fun. We've never been to Florida yet except for the hubs. Hopefully we get to go there soon! We've been talking about visiting Florida but wasn't sure where to go! I'm glad I came across with your recent vacation to Destin. I would love to check the Mainsail resort for our upcoming Florida vacation. Destin is gorgeous! I always enjoy Florida beaches and am overdue for another visit. Florida has so many gorgeous beaches! Looks like you and your family had an awesome time! Destin has some of the prettiest beaches! The water is so beautiful. DESTIN is the best! we go once a year and we love it. We've been thinking about renting a condo next time. I will definitely check the Mainsail resort looks very nice inside and out. This is good to know because we are planning a warm beach trip to get out of the Chicago winter in February.